One thing I love to do when I travel is seek out and try the local coffee. I am fascinated by the connection between coffee and culture. Almost every country in the world has different types of coffee drinks and unique coffee drinking traditions. 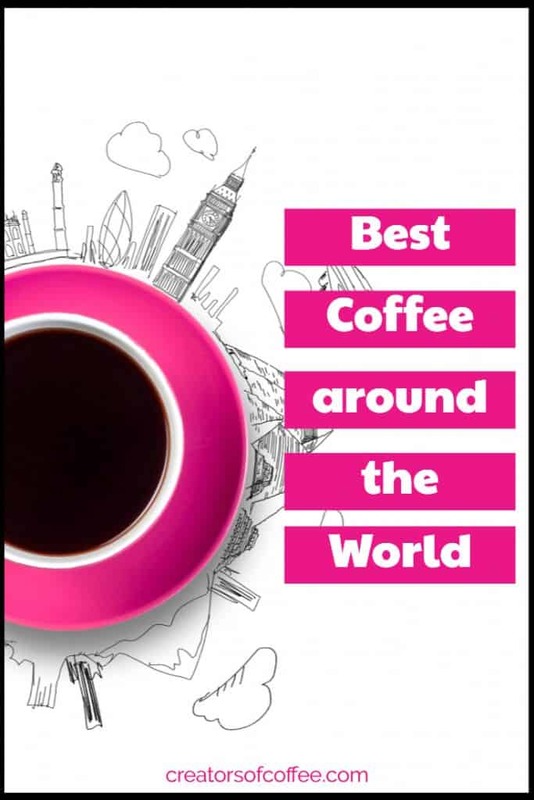 So I thought it would be fun to delve into coffee culture around the world and share stories of the best coffee from around the world. Each of these unique coffee drinks has been personally tasted and recommended by a lover of coffee around the world. How many have you tried? Long considered to be the birth place of coffee, there is naturally a strong coffee culture in many Arab countries. Each country has a unique spin on the ancient beverage, so let’s take a look at one of the classics here. A highlight of any trip to picturesque Istanbul is a Turkish breakfast, and no breakfast would be complete without a cup of Turkish coffee! 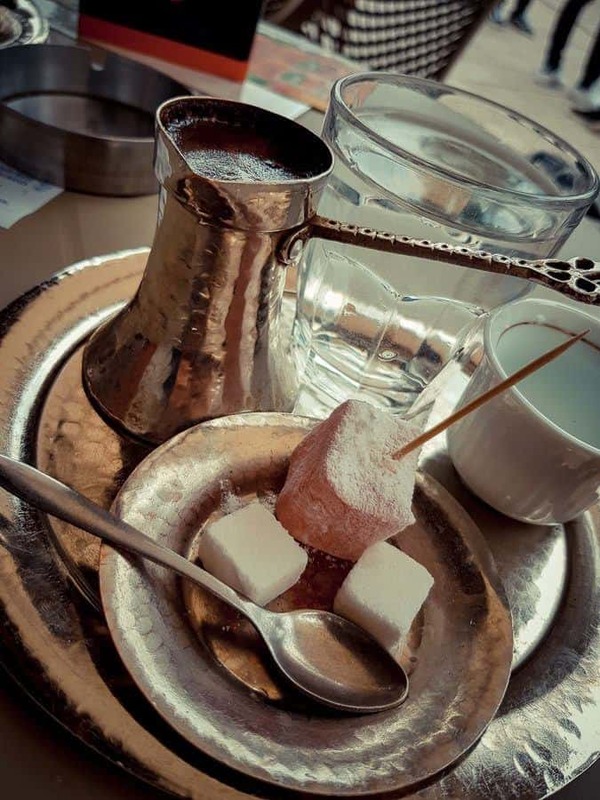 While it’s known as Turkish coffee, the Ottoman empire exported this method all over their former empire so it’s similar to Greek coffee and you can find it all over the Balkans and the Middle East. Turkish coffee is made by grinding the arabica beans into a very fine powder which is left in the drink instead of being filtered out. This is why a cup of Turkish coffee is often compared to mud, but the most delicious mud you can find! My favorite cup is from a cafe near the Galata Tower in Istanbul, but I’m happy wherever I have it in Istanbul. Related: Turkish coffee is easy to make at home and there are some gorgeous coffee pot and cup sets available. Check out this lovely copper Turkish Coffee Pot set here. Coffee was first introduced into Europe in the 16th Century and Europeans now consume more coffee per capita than any other region in the world. From Italy, considered the home of European coffee culture, to Austria and to the most prolific coffee drinkers in Scandinavia, coffee is a deeply embedded daily ritual in Europe. Here are a few coffee drinks you must try in Europe. When in Rome, drink coffee! In Italy, coffee is more than a drink, it’s a critical part of the culture. From morning till night, people meet at bars for a quick chat and coffee. Deals are done, hearts are broken, plans are made – all while sipping cups of espresso. To join in, be sure to get your coffee etiquette right. First pay at the bar and then place your order with the barista. And note – cappuccinos are strictly a morning beverage, espresso only after 11am. The best place to experience Italian coffee culture is at Sant ‘Eustachio Il Caffè in Rome. Here they use a house blend of 100% arabica beans from producers all over the world. Related: Why not enjoy a little of Italy at home with your own set of espresso cups. Click here to find the perfect set for home. You cannot visit a coffee shop in Barcelona without having a cafe con leche, which is basically a beverage of equal parts coffee and milk. This is similar to a cafe au lait. Catalonians will usually have this drink in the morning with churros for breakfast as the milk is considered too filling after noon. For afternoon tea, you should combine your churros with hot chocolate. 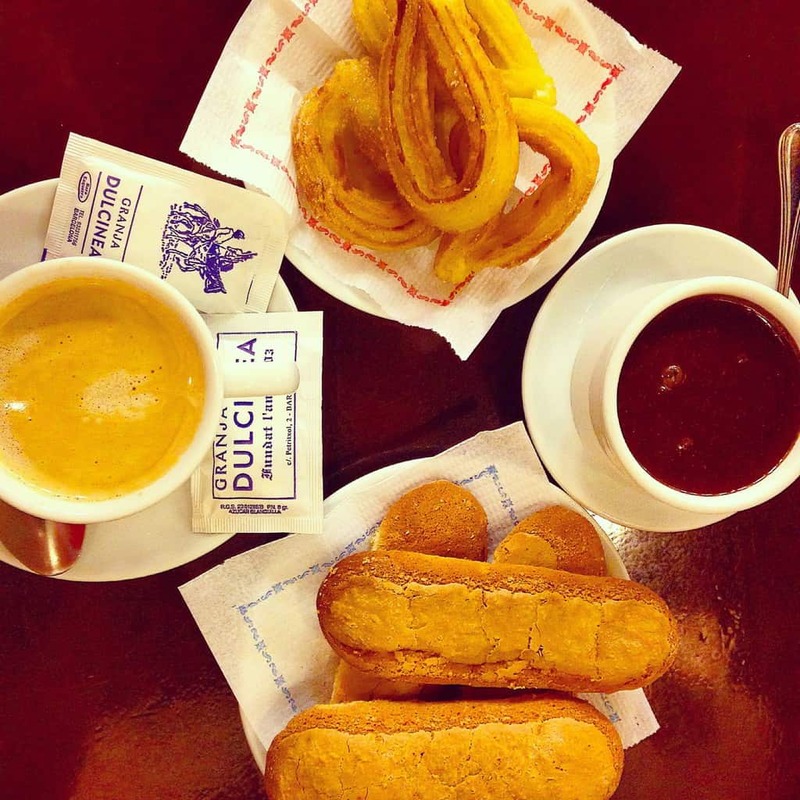 Probably the most famous institution to serve the milky coffee and churros pair is Granja Dulcinea, near Placa del Pi. This is part of my childhood memories growing up in Barcelona and is one of the longest running institutions to serve the famous sweet. If you’ve eaten too many churros, another option that goes well with cafe con leche is ensaimadas, a soft pastry topped with powdered-sugar. Want less milk? Ask for a cortado. The barista also may ask if you’d like your milk “templado o caliente”, which means room temperature or piping hot! Oh coffee, my morning pick me up, and also my midday pleasure. The best place to drink coffee has to be in Sarajevo in Bosnia and Herzegovina, it’s unlike any coffee you’ve had back home. Your coffee will arrive on a tray with an empty ceramic cup, a glass of water, and a small plate cradling mini sugar cubes and a little candy – and of course a pot of coffee. At this point, it’s up to you to either put the sugar cube in your mouth and sip the coffee, or place the cube (or cubes) into the ceramic cup – and pour the coffee over it. Either way you’ll love it! You can find coffee like this all over Sarajevo, and in fact, Bosnia and Herzegovina, so be sure to stop and enjoy at least one a day. The best coffee I ever had was a flat white in central London. 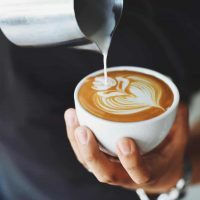 A flat white is basically a double shot of espresso covered with microfoam – steamed milk with tiny bubbles that give a smooth, velvety consistency. It’s a less milky version of a latte. While I’ll begrudgingly admit that conventional wisdom credits the first flat whites to somewhere Antipodean, in recent years it’s become the favourite of hipster types in the UK. And in my opinion there’s now nowhere better to drink a flat white than London. If you love your coffee and want to see how a flat white should be done, check out Coleman Coffee Roasters at 20 Lower Marsh, near Waterloo station, London. It’s in an area that’s far from the glossy tourist London you see on postcards. The cafe has got a minimalist, hipster feel and the coffee is truly amazing. I’ve been dreaming of it ever since! One of the best, and most surprising places I’ve had amazing coffee was Ostrava in Czechia. Ostrava is an old industrial city that has rebranded itself with a youthful feel. The town is peppered with amazing third wave cafes that embrace the coffee culture. The joy of coffee in Ostrava is getting a simple latte, Australian style. The perfect mixture of coffee and milk. Unlike other European destinations where a latte turns up in a tall glass and is an odd mixture of coffee, milk and steamed milk. The best place to get a lovely latte? PetPunk (Nádražní 112/50, 702 00 Moravská Ostrava a Přívoz, Czechia). This funky cafe is a little bit outside of the CBD of Ostrava, but is easily within walking distance or you can catch one of the many fantastic trams. 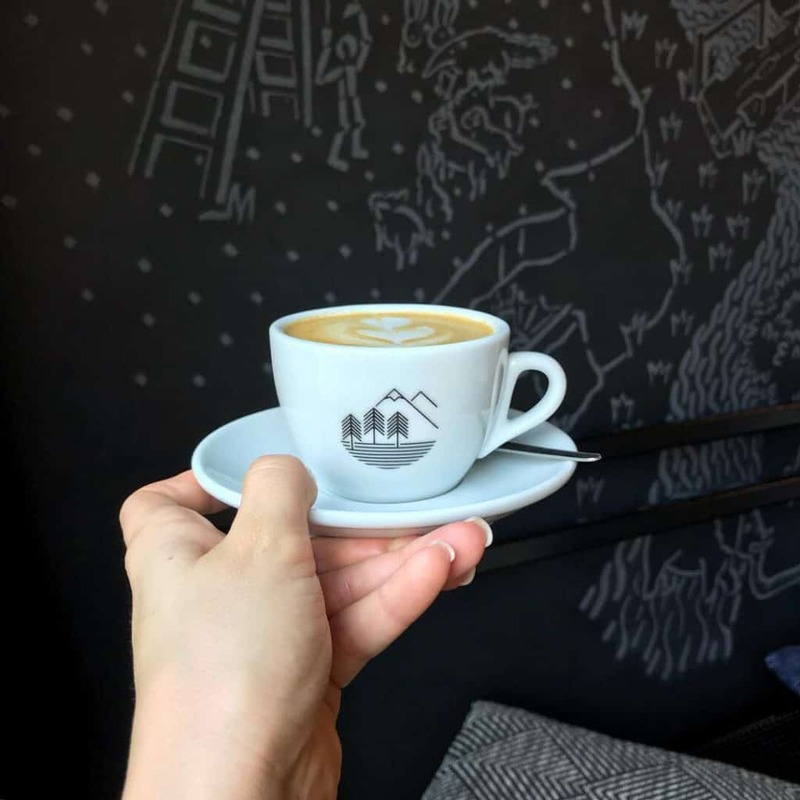 Inside you’ll not only find amazing artwork but you’ll find the best coffee in Ostrava. Drinking coffee, or kava, is a big part of Croatian culture. 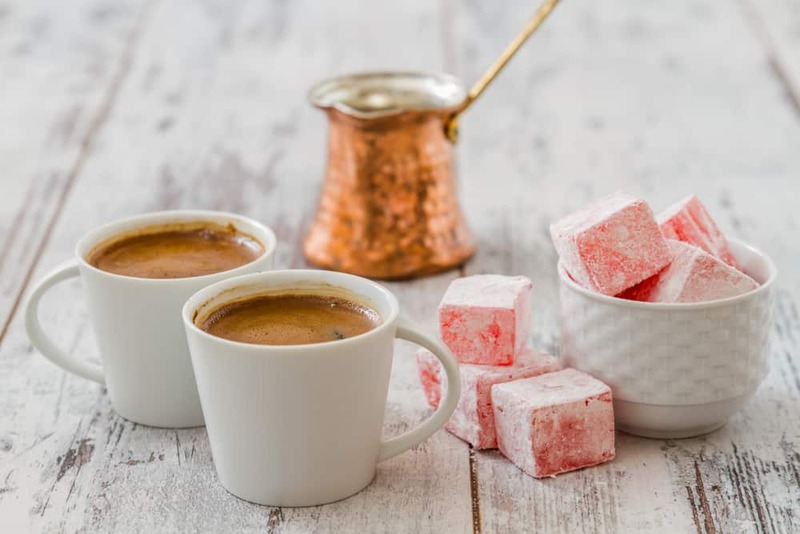 The coffee culture is so strong in this country that almost every book or website you read about Croatia mentions the Croatian coffee culture. While we had coffee in many places, my favorite was at an outdoor café in the town of Hvar on the island of Hvar. We sat in the old town, gazing out at the Adriatic Sea and the boats coming in. People milled about, which made for fun people watching. Espresso is a popular in cafés, as is Turkish coffee. Surprisingly, some Croats even prefer instant coffee. While the coffee itself is important, the most important thing is spending time with friends and family in discussion or contemplation. “Let’s go for coffee,” is an invitation to settle in and connect. Deals are made over coffee, and it’s a place to see and be seen. Coffee isn’t rushed in Croatia. The Cafe Crème is a delicious hot coffee with complex, espresso-based flavors. Not as strong as an espresso, with more body than an Americano. It is brewed using espresso beans that are more coarsely ground to allow a slow yet continuous water flow during the brewing process. This results in a nice layer of espresso foam, thus giving the name “Crème” despite it having no dairy. Cafe Crème is the standard throughout Germany and is thought to have originated in Switzerland, near the Italian border. For a world-class Cafe Crème, visit Edelweiss Café in Weiden in der Oberpfalz, Bavaria, Germany. 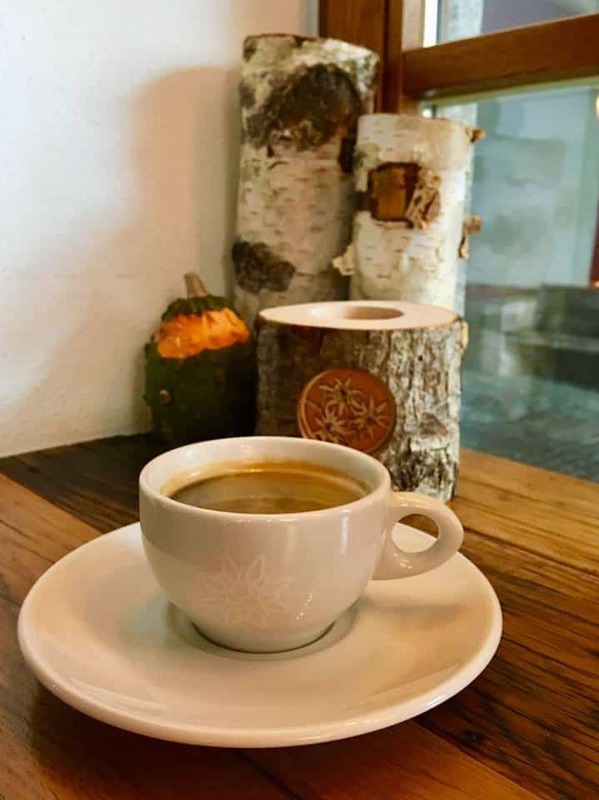 The atmosphere is warm, the food is locally sourced and delicious, and the coffee beans are certified rainforest friendly. These rainforest friendly beans are sourced from sustainable coffee farms and are produced under conditions that facilitate creating diverse habitats for wildlife, especially birds. Coffee is an intrinsic part of day to day life in Asia. 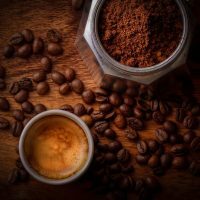 It is thought to have been introduced to Asia in the 16-17th century and each country now has unique coffee drinks not found anywhere else. Asia is now also a large producer of the world’s coffee, with 5 of the largest coffee producers in the region. Here are just a few different coffee drinks to try when in Asia. 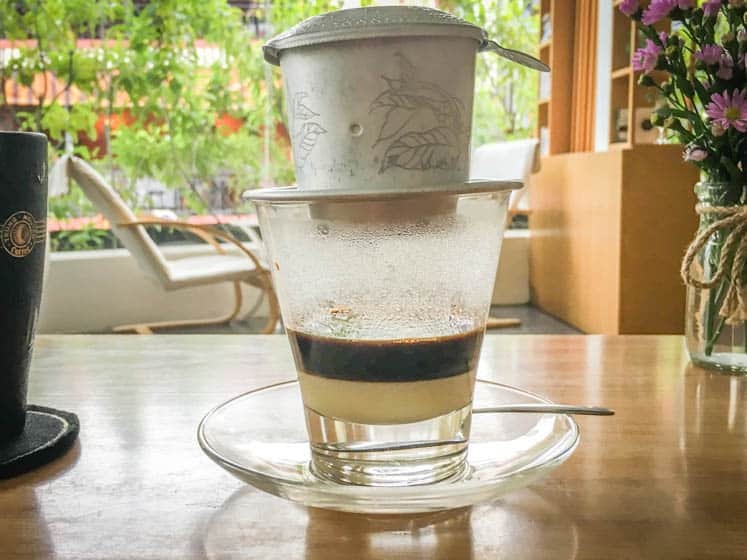 The day starts early in Vietnam, and the best coffee to enjoy with your local breakfast is the traditional Vietnamese coffee Ca Phe Sua (milk coffee), or the iced version Ca Phe Sua Da (iced milk coffee). When the French introduced coffee to Vietnam in the 19th century, fresh milk was not readily available. So they used sweetened condensed milk in its place. And although fresh milk is now freely available, the use of condensed milk has continued to this day. 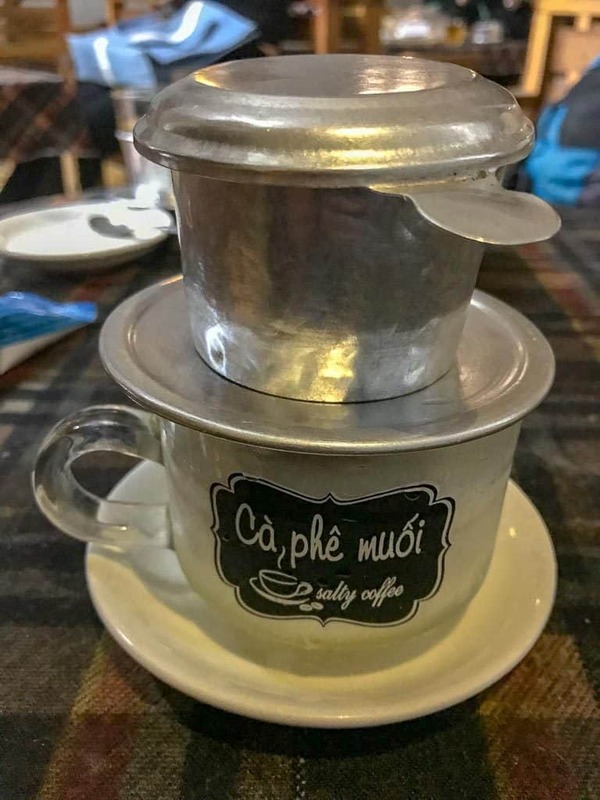 To make Ca Phe Sua, roasted ground coffee and hot water are placed into a small metal drip filter, which is then placed on top of a glass containing the condensed milk. Once the coffee has filtered through over a few minutes, the contents are stirred together to form a rich and decadent caffeine fix. To make the iced version, the stirred contents are simply poured into a separate ice-filled cup of ice. Visitors to Vietnam will come to love the cold pressed coffee served over ice with condensed milk but in Hanoi it’s taken a step further. The best unique food and drink comes from necessity and that’s where egg white coffee comes from in Vietnam. This unique coffee drink was invented when there was a shortage of milk and dairy products. Amazingly moreish, it has a great taste without any of the dairy, and is well worth giving up the milk and cream. For me, it is one of the best tastes of Vietnam. It is, of course, served cold, over ice and can be found in just a few cafés in Hanoi – it’s a great find and you’ll regret not trying it if you visit the city! As you can see from this list, Vietnam is coffee mad! There are many different flavoured coffees found all over the country, but before coming to Hue, I had never heard of Salt Coffee. Sounded terrible, so we just had to hunt it down. There are two places it is sold in town, both cafe’s called “Salt Coffee”. Put that into Google Maps and it will bring them up, but as you are walking down the street, look for Cà Phê Muối. The coffee is served dripping down onto ice cubes and milk in a glass below. We didn’t realise that this coffee was served iced – but that was perfect for the hot Vietnam day. And the flavour – it was just delicious! It could best be described as similar to a sweet, salted caramel flavoured coffee. It was worth the hunt and we will be back for more next time we are in Vietnam. Before embarking on our 1st year of full time travel we had never tried iced coffee. Criminal, right? That is until we set foot in Thailand where our lack of iced wake up juice changed. 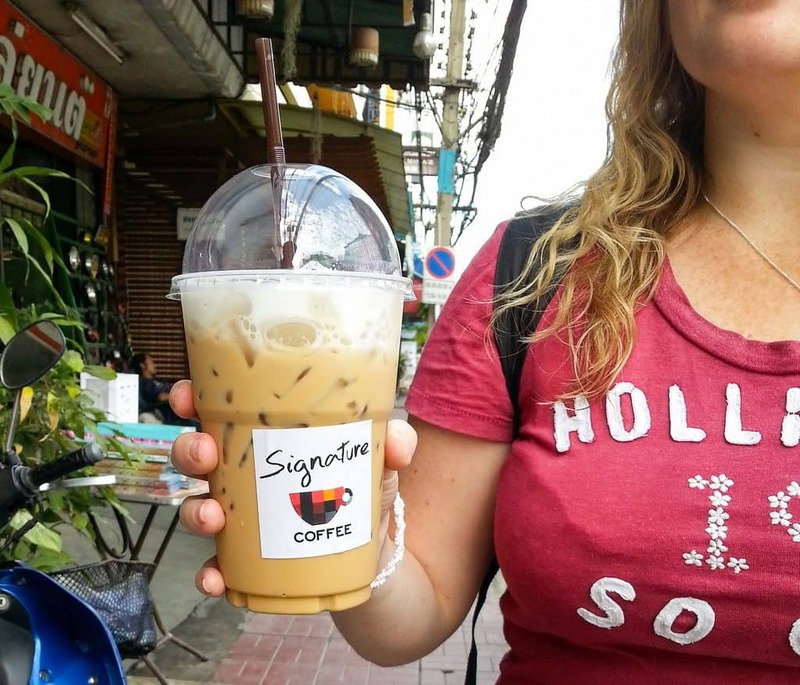 Our favourite cold coffee drinks are the Iced Cappuccinos from Signature Coffee in Chiang Mai. This was one of the first iced coffees we’d ever tried and there’s a reason it holds a special place in our hearts. The gentleman who owns this coffee shop simply sells a few variations of hot and iced coffee and some locally made cakes (which sell out fast). He’s a great chap and super friendly despite knowing hardly any English, his charades game is on point! The coffee is generously sized, made using freshly ground beans and deliciously creamy condensed milk with a dusting of cinnamon. Certainly a must try whenever near Anusarn. Other than the ubiquitous Milo, kopi and teh (coffee and tea) are also ordered on the regular in Singapore. While the coffee is not the best, it is the experience of visiting any of the 3,000 kopitiams (coffee stores) around the Lion City and gaining a deeper understanding of the local culture with the strong black drink starting at 80 cents (S$). Traditionally, Singaporean kopi beans are wok-roasted with sugar, margarine and occasionally pineapple skin and maize. It is a dark roast too. Once ground, the concoction is brewed with a sock-like cotton strainer. Beans used are usually a blend of Arabica and Robusta. Unless ordered otherwise, kopi comes standard black with condensed milk. You will need to know the lingo if you wish to order other variants. And this is where the fun comes in! Kopi Peng, for example, is sweet black coffee with condensed milk and ice. Plain black coffee is Kopi-Kosong, add Peng to the end to make it iced. Kopi Po is weaker and Kopi Gau is stronger. Want it to go? Ask for Kopi Ta Bao. It is usually eaten with toast and egg in the AM. Try have your kopi at AlibabaR in Katong if you don’t want to go to an older kopitiam. 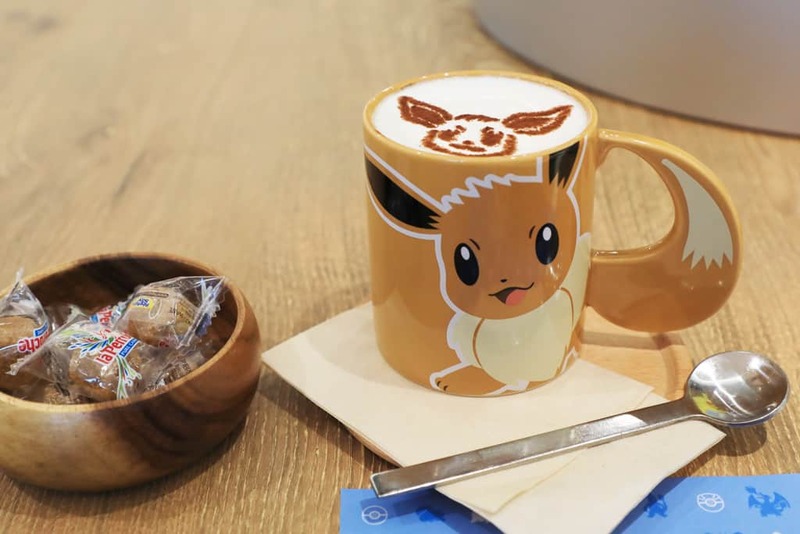 Tokyo is well-known for its cute and quirky coffee shops and one of the newest is the Pokemon Cafe in the Nihonbashi neighborhood. I love their lattes, which have a deep taste of coffee softened with whole milk. The talented barista paints an Evie or a Pokemon on top, depending on your preference. Each coffee is also available in a souvenir mug. The coffee and mug are pricey, but with fantastic views out over Tokyo, it is a great experience and fun purchase. The i-pad menus are in Japanese, Chinese, and English, so it’s extremely easy to order their amazing coffees, which are served warm or iced. Coffee eventually found its way across to the Americas in the late 17th – early 18th century. Whilst starting a little later than the rest of the world, coffee was quickly adopted and the coffee culture continues to evolve. Brazil rapidly became the largest coffee producer in the world, a title it holds till this day, with one of the main hubs being Sao Paulo. Colombian coffee, notable for its smooth and mild flavor profile, is a popular choice amongst North American coffee drinkers for drip coffee makers. Here are just a few brew styles to try when in the Americas. Bolivian coffee is spectacular. With a unique set of flavors and a limited production, it has quickly peaked the world champion roasters’ and baristas’ interest and become an important part of the 3rd Wave coffee movement. The exportation of the high-quality beans to the trendiest cafes across the world means a subsequent revenue for the Bolivian coffee farmers. It, however, also implies that the locals can’t afford to drink their own national black gold. For this reason, locals have started drinking the cherry of the coffee beans remaining from the production. 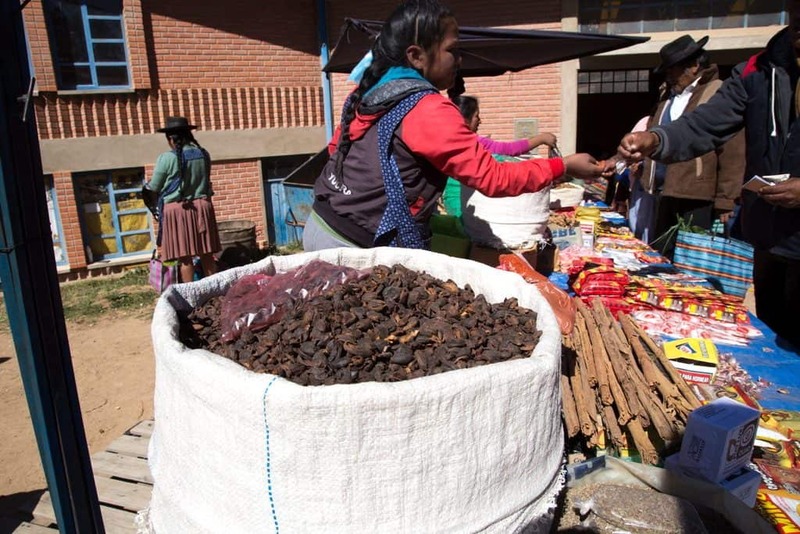 The “Cascara”, also known as “Sultana”, is in Bolivia, infused with cinnamon and cloves and drank like a tea. It has the sweetness of an infusion and the strength of the coffee. Cascara is a surprising drink and a must try for those looking for a nice shot of caffeine with strong floral and fruity notes. The double shot Italian cappuccino from Gradios Deli-cafe in the centre of Mexico city is worth the trip on its own. Distinctly different from a cappuccino I’m used to (more foam than cream), this was similar to a flat white in strength, with the perfect amount of crema. The cafe sits unassumingly amongst hardware stores, a flower market and some low-priced hotels in a less-hectic part of Mexico City. It was the roaster which alerted us to its existence. Placed right at the entrance (probably due to a lack of space), we were drawn in with the justification that any cafe which roasts its own beans is worth a few bucks. Boy, were we pleased with that decision. Each day, we walked 20 minutes from our hotel to this oasis amongst a grungy backdrop of regular life in a mega-city simply for the coffee. It’s that good. The food is exceptional too, and worth the inevitable wait for a table. We later found out that the barista, Erika Chagoya, is a regular competitor at the world barista championships. We’ve since returned twice to Mexico city and always go out of our way to visit Gradios for at least two coffees. You can find it on Luis Moya 115, Colonia Centro. Coffee doesn’t come much fresher than straight from the plantation. 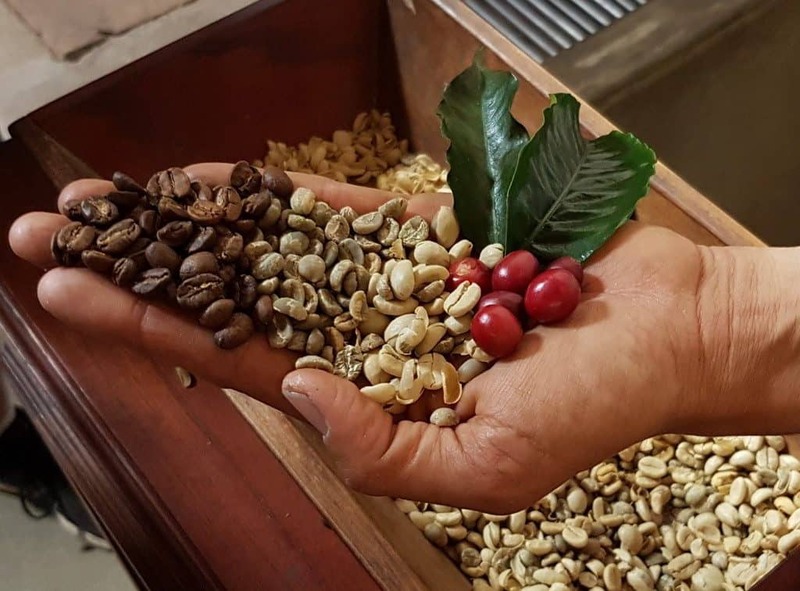 The coffee in Antigua Guatemala is exceptional no matter how you take it, but you really need to pair it with the experience of seeing the entire lifespan of coffee, from planting to harvest and drying to roasting. Filadelfia Coffee plantation, just outside of Antigua, is just such an experience. Guests are shown the entire process that results in the highest quality Arabica Coffee beans, witnessing them in the different stages of their evolution, culminating in breathing the deep rich scent of roasting coffee beans. Finally, you are offered the goods themselves, an aromatic, deep dark liquid served hot and pure. I never drink my coffee black, it’s a latte all the way for me, but this was smooth and flavourful all on its own, with no trace of bitterness. Definitely don’t pass up the coffee in Guatemala! Related: Antigua is the perfect place to join a coffee tour. Click here for availability and prices for small group coffee tours in Antigua. You cannot visit New Orleans without trying Cafe Au Lait and bingeing on beignets at Cafe du Monde. This iconic New Orleans coffee has a pretty interesting history. For the uninitiated, Cafe Au Lait means nice hot coffee with lots of hot, creamy milk. New Orleans’ Cafe Au Lait has an interesting twist – it is prepared with ground chicory root blended with coffee beans that gives it a distinctive taste. This practice of adding chicory to coffee comes from Civil War days when the supply of coffee often limited or completely cut off. Today you can drink this iconic NOLA coffee hot, cold or frozen and all three versions taste equally delicious! We hope you enjoyed this little trip around the world and are inspired to seek out a new coffee drink when you next travel. 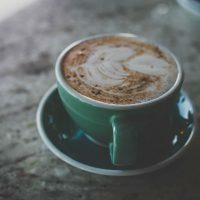 Do you have a favorite coffee from around the world? Let us know in the comments below! Great write up and an amazing selection of coffees! I’m really itching to try the Salt Coffee in Vietnam and Cascara in Bolivia. Thanks for the feature!